After Tom Hiddleston joined the cast of Close Enough, an upcoming biopic about the legendary Robert Capa, who was a war-photographer and photojournalist, everything looked good to go, with cameras set to roll in June. Today though, there has been a bit of a casting shake up as Gemma Arterton, who was attached to the project for quite a while, has dropped out. 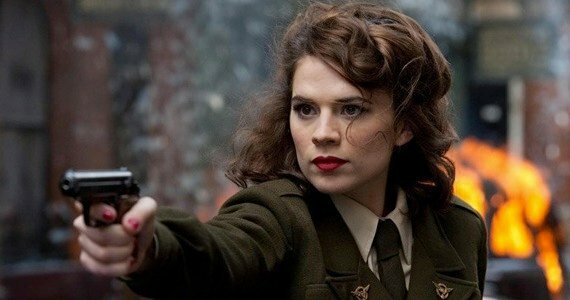 Replacing her will be Hayley Atwell, most well known for playing Peggy Carter in Captain America: The First Avenger. Now, just to avoid any confusion, there are two Robert Capa biopics currently in development. There’s this one and there’s also one that is set to be directed by Michael Mann, though that’s still in the early stages of development. Capa’s story is one that would make for an excellent film and with two strong leads headlining the project, I think we could be in for something truly special. Hiddleston and Atwell, as proven by their work in the Marvel Universe, are both tremendously talented individuals who are now starting to branch out, which is great to see. I’m excited at the prospect of them working together and if all goes as planned, the results should be impressive. What do you think? Are you excited to see Tom Hiddleston and Hayley Atwell lead Close Enough? Let us know in the comments section below.